POWERLOK® There is 1 product. Solve loosening problems on tapped holes and reduce in-place fastening costs. TRILOBULAR® POWERLOK® screw is unique solution with locking concept on tapped holes: the thread design provides locking action over the entire length, independently of the base material and working temperatures. • Immediate and continuous locking action. • In-place fastening cost reduction by eliminating the need for additional locking elements. • Excellent vibration loosening resistance. • The spring effect maintains clamping. 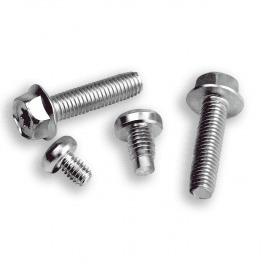 How does POWERLOK® screws work? It interferes in the root of the nut thread, eliminating any tolerance. 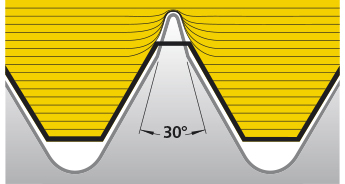 To ensure a correct performance of the screw, screw hardness values should be higher than nut ones. We recommend to contact our technical department to assure the feasibility of POWERLOK® screws in your application. 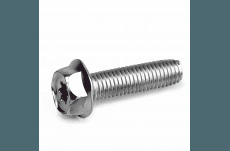 Design specifications for POWERLOK® screws. 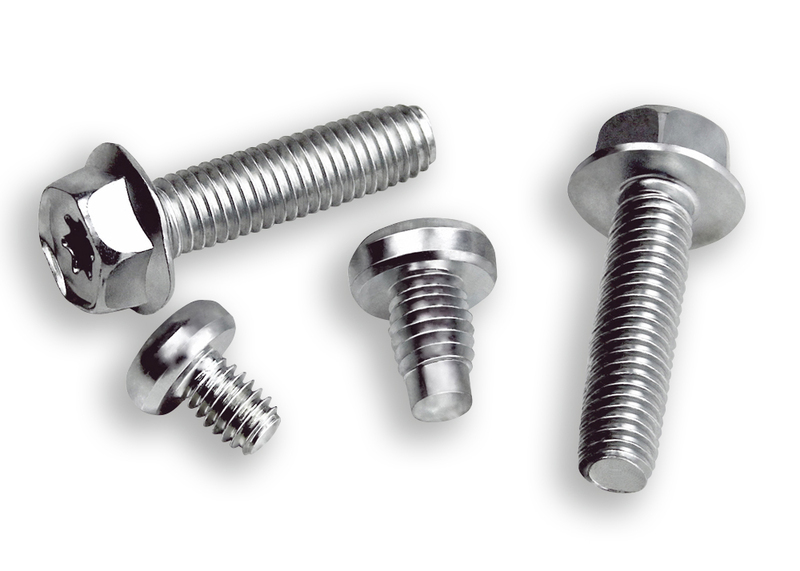 To improve their functionality, RPOWERLOK® screws can be produced under different head styles, recess, dimensions and coating configuration. • The assembly of components under severe vibration conditions and expansion/contraction cycles in tapped holes. • Alternative solution to adhesive patches on metric screws and locking nuts.